I feel *distressed a lot about the big marine accident in the Republic of Korea, ROK. I wish as many passengers in the Sewol would be alive as possible! 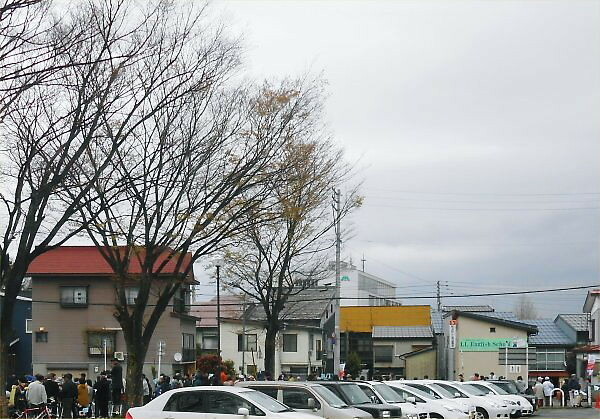 On Saturday, April 19th, at 9:00, I saw a crowd of several people on the street beside LL Parking Lot when starting usual walking with Erie. I saw two cops there. It was drizzling and colder than yesterday. 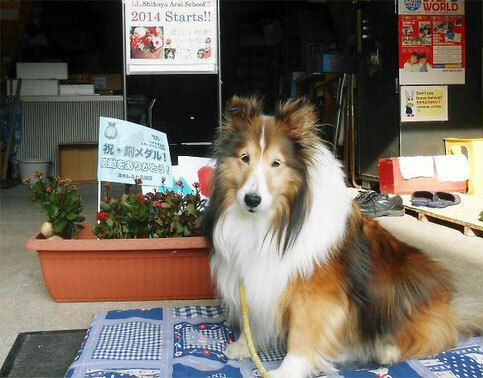 He is one of the graduates from Arai S/H School which is my mother school. I’m proud of him very much. 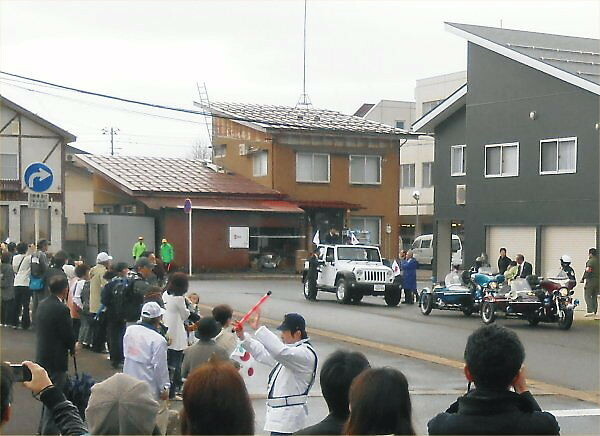 At 9:45, drizzling stopped, the victory drive started from the place of the street beside LL Parking Lot. 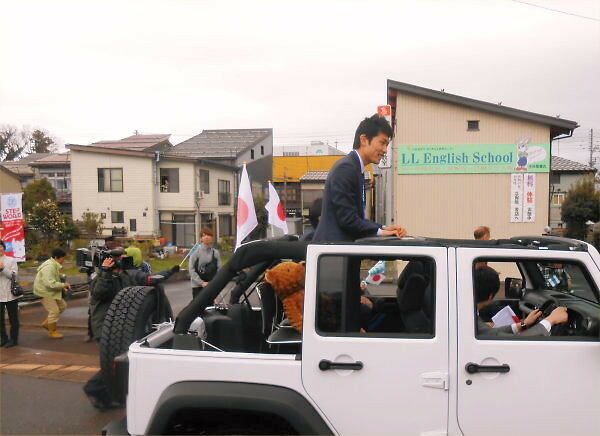 There was Mr. Masahiko Harada beside him on a *triumphal car. 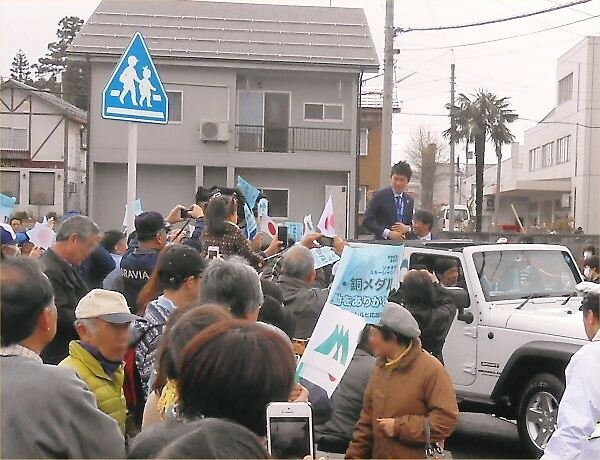 Yoshy also waved the flag given by a staff of Myoko City. After that, I took a memorial picture of those three kinds of flags with Erie. 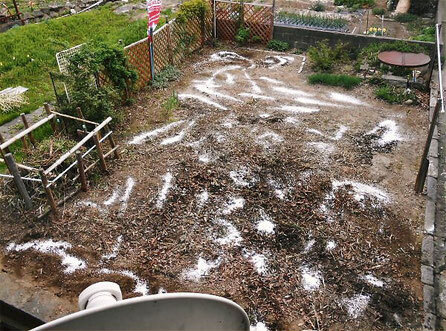 In the early evening, after finishing an LL lesson, I scattered a bag of slaked lime on LL Garden.